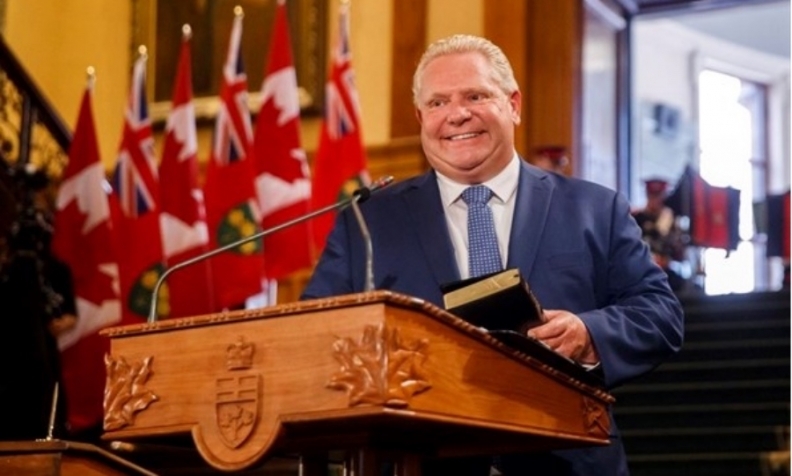 Ontario Premier Doug Ford calls the former cap-and-trade program a "slush fund." Ontario Premier Doug Ford made good on a campaign promise to cancel the province's cap-and-trade program — and with it, “all programs funded out of cap-and-trade carbon tax revenues.” The Electric and Hydrogen Vehicle Incentive Program is one initiative funded by cap-and-trade revenue. The EHVIP provided provincial rebates of up to $14,000 per green vehicle, depending on make and specifications. “As the premier has noted, the cap-and-trade program is ending. We will work with the government to determine next steps with respect to MTO programs funded from cap-and-trade proceeds,” Nichols said when specifically asked if the EHVIP is now dead. The Trillium Automobile Dealers Association, which represents more than 1,100 new-vehicle dealers in Ontario, isn’t surprised by the announcement. “Our Association has always been under the impression that Ontario’s Electric and Hydrogen Vehicle Incentive Program was a temporary program. Although we prefer the program continue for several more years, we understand … Doug Ford campaigned on eliminating the cap-and-trade system and the programs funded by it,” TADA Executive Director Todd Bourgon said in an email to Automotive News Canada. “Our members have spent a considerable amount of money on tools and infrastructure in order to become an authorized electric vehicle dealer by their manufacturer. According to Ontario’s Auditor General, who conducted an audit of the program, the cap-and-trade system could cost Ontario consumers and businesses $8 billion by 2020, with a negligible impact on the province's carbon emissions. "Every cent spent from the cap-and-trade slush fund is money that has been taken out of the pockets of Ontario families and businesses," Ford said in a news release. "We believe that this money belongs back in the pockets of people. Cancelling the cap-and-trade carbon tax will result in lower prices at the gas pump, on your home heating bills and on virtually every other product that you buy."